We have limited capacity for the workshop; please RSVP to Lucy at lbreidenthal@heavenlyrest.org by Sunday, April 7. On June 19-22, we will make our first pilgrimage to Montgomery, Alabama to visit the Legacy and Justice Museum and National Memorial for Peace and Justice. Pilgrimages visit sacred places in our history and tradition so that we might better understand our own journeys. 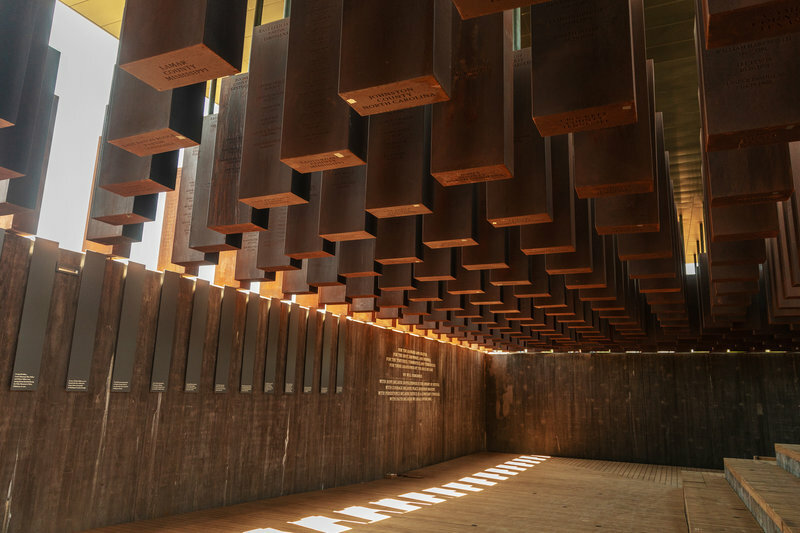 These sites were established by the Equal Justice Initiative as our nation’s first memorial dedicated to the legacy of enslaved black people, those terrorized by lynching and Jim Crow segregation, and the ongoing threat of police violence and mass incarceration to African American men and women. Our visit to Alabama will help us better understand what’s happening in our own neighborhoods and city and how our faith can help us to take action here. If you are interested in joining the pilgrimage, please contact Anne Marie. Download or purchase a hardcopy ($10) of our 2019 Lenten Reflection Book, Pilgrimage: Discovery, Discomfort, Devotion. Heavenly Rest’s Jerusalem pilgrims have shared photos, drawings,reflections, and passages from the devotional materials used on the pilgrimage. During the season of Lent, we are moving Night Prayer into the Nave. Invite a friend to join us for the last prayers of the day in our beautiful candlelit sanctuary on Sunday evenings at 7pm, starting on March 10. Interested in seeing photographs of everything happening at Heavenly Rest? Check out our Flickr page here. Everything from the Luminary Dinner and Outreach Services Day to Sunday Explorations and this Thursday’s Evensong Celebration has been photographed by our gifted parishioner, Angela James! You can download the photos for free, so please make use of this resource. Thank you to Angela for creating a photographic archive of our parish life.